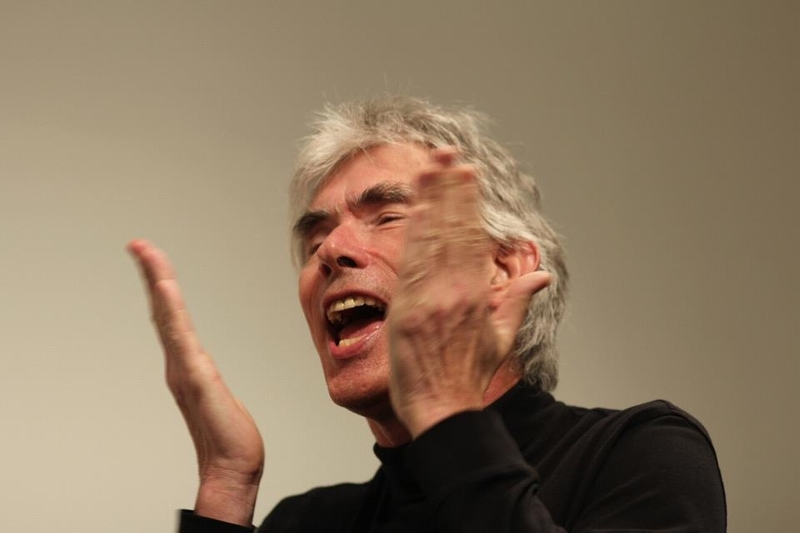 Jaap Blonk (NWS S’12) returns to the University of Maine for a lecture and performance sponsored by the New Writing Series in partnership with the Honors College. Blonk will present a lecture on his work in the Soderberg Auditorium, Jenness Hall, on Wednesday, November 20, 2013, at 7pm. He’ll perform as “Dr. Voxoid” in the Cyrus Pavilion on Thursday, November 21, at 5:30pm. Both events are free & open to the public, though seating in each venue is limited. 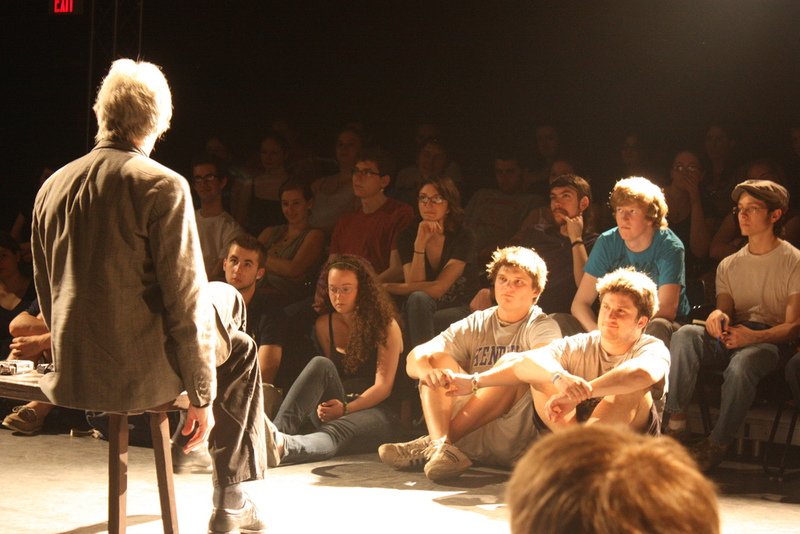 Jaap Blonk was last at UMaine in March of 2012, when he gave a memorable performance to a capacity audience in the Black Box Theater (photo above right). Blonk returns to Orono at the close of an international tour that has taken him throughout the US, as well as to China, Canada, Germany, and the UK. Blonk is a renowned sound poet and composer whose repertoire extends from Hugo Ball and Antonin Artaud to John Cage. He is especially well known for his rendition of Kurt Schwitters’s Ursonate, a classical sonata in four movements that uses “primal sounds” of Schwitters’s own invention as its sonic material. Performing as “Dr. Voxoid,” Blonk blends his own compositions with improvised materials and the occasional “classic” from the historical avant-garde. 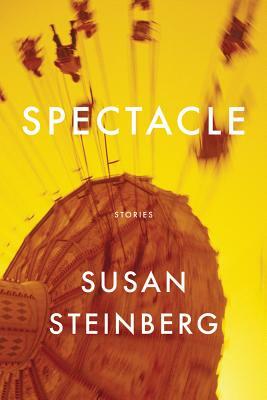 The New Writing Series is pleased to announce a reading by Susan Steinberg, author most recently of Spectacle, on Thursday, November 7, 2013, at 5:30pm in the Soderberg Auditorium on the UMaine campus in Orono. The reading is free and open to the public and will be followed by a Q&A with the writer. Susan Steinberg is the author of the story collections Spectacle (Graywolf, 2013), Hydroplane (FC2), and The End of Free Love (FC2). She was the 2010 United States Artists Ziporyn Fellow in Literature. 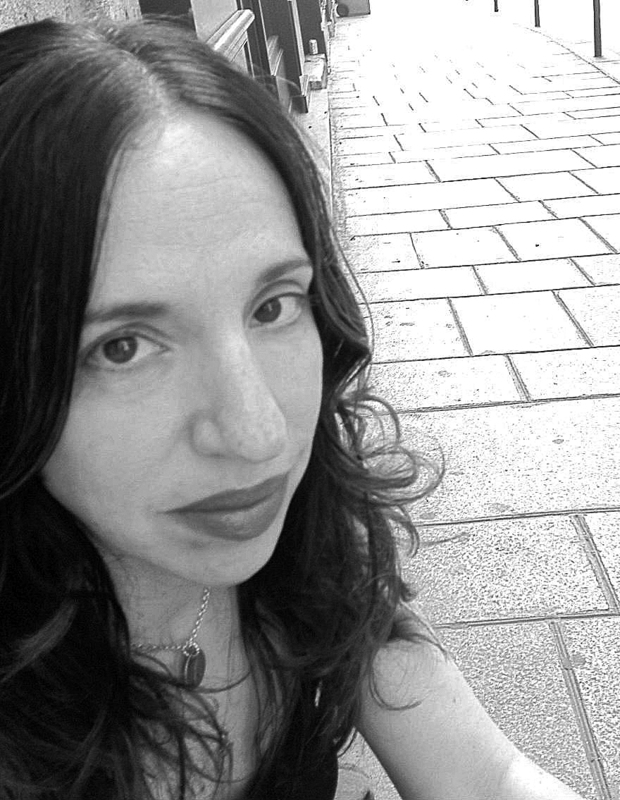 Her stories have appeared in McSweeney‘s, Conjunctions, the Gettysburg Review, American Short Fiction, Boulevard, Quarterly West, Denver Quarterly, Columbia, the Massachusetts Review, and other journals and magazines, and she has been the recipient of a Pushcart Prize and a National Magazine Award. She has held residencies at The MacDowell Colony, the Vermont Studio Center, the Wurlitzer Foundation, the Blue Mountain Center, Ledig House, Yaddo, and NYU. She earned a BFA in Painting from the Maryland Institute College of Art and an MFA in English from The University of Massachusetts, Amherst.